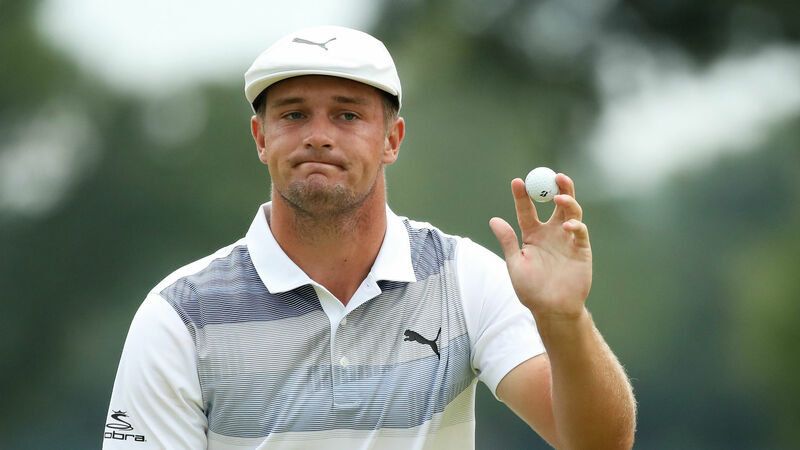 DeChambeau, who rose to the top of the FedEx Cup standings with a win last week in New Jersey, further distanced himself from the pack with another win — his third of the year. A third round 8-under 63 helped DeChambeau get back into contention. He fired a 4-under 67 Monday to win by two shots at 16 under. He will discover his Ryder Cup fate Tuesday when Jim Furyk makes his captain’s picks. [email protected]_DeChambeau answers back with a birdie of his own. Tiger Woods shot an even-par 71 Monday to finish t-24 at 7 under. He declined to speak with media after his round, but is still a prime candidate to earn a captain’s pick for the Ryder Cup.